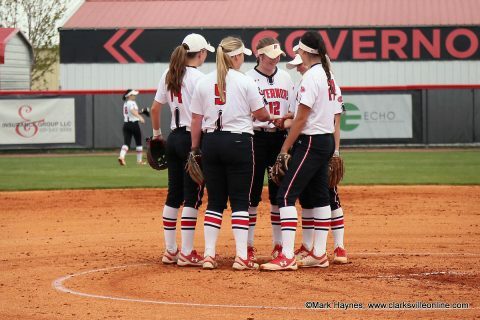 Clarksville, TN – Austin Peay State University’s softball team will conclude its 2018 home slate of games this coming weekend, at Cheryl Holt Field at Joe and Cathi Softball Stadium, by hosting Southern Illinois Edwardsville and Eastern Illinois for a pair of Ohio Valley Conference doubleheaders. The weekend’s action begins, 1:00pm, Saturday versus SIU Edwardsville and wraps-up, 1:00pm, Sunday with a match-up versus Eastern Illinois. Austin Peay Softball plays SIU Edwardsville and Eastern Illinois to conclude 2018 home games this weekend at Cheryl Holt Field.